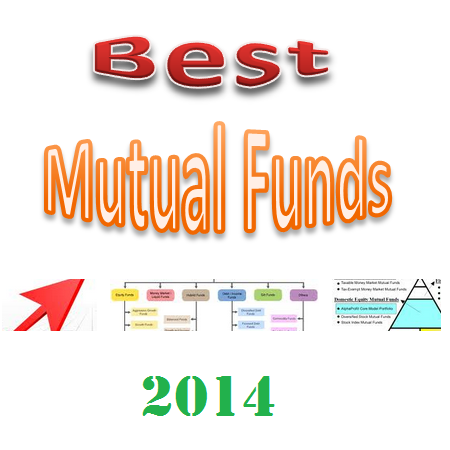 Find best mutual funds 2014. The top funds are Vanguard Balanced Index Fund, Yacktman Fund, DoubleLine Total Return Bond Fund, etc. I have been provided best mutual funds list for the past 4 years. You may find some funds perform well, and some funds perform just not great. From these past years, I have tried to reduce the list of funds for investing. For 2014, you will find only 6 best funds. Keep it as simple as possible is my mantra for 2014 and future years. Whether the funds are for your brokerage, retirement, or 401(k) account; you need to do a research before your big investment. You can find different categories of mutual funds. I also provide each fund review for your information. Other information such as expense ratio, yield, sector, category, fund performance can be found below as well. Vanguard Balanced Index Fund (VBINX) is a perfect choice for long term investors either in brokerage or retirement account (IRA). This mutual fund utilizes its assets to purchase stocks, bonds, and short term instruments. It tracks CRSP US Total Market Index and Barclays U.S. Aggregate Float Adjusted Index. This index balanced fund has a low expense fee of 0.24% per year. It is also popular among investors with $21 billion of assets. Ranked with 4 stars and gold rating by Morningstar, this best mutual fund for 2014 has a 3 year annualized return of 10.93%. As one of the best 401k funds, it has consistently performed above average compare to its peers. In 2013, it has YTD return of 16.41%. The top 2 stocks in its portfolio are Apple Inc, and Exxon Mobil Corporation. Managed by famous bond managers, Jeffrey Gundlach and Philip A. Barach, DoubleLine Total Return Bond Fund (DLTNX) invests majority of assets in mortgage-backed securities. The expense ratio fee is 0.73%. It has a high yield of 4.86%. This popular mutual fund has a low annual turnover holding of 23%. This bond fund has lagging compare to S&P 500 index, but it still managed to beat the Barclays U.S. Aggregate Bond index. In 2013, its year-to-date return is 0.40%. Most bond mutual funds have not been performing well in 2013; however this fixed income fund still has a 3 year average return of 6.14%. Yacktman Fund (YACKX) has been lagging the S&P 500 index for the past 2 years. But looking at its past performance, you might want to stick with it for a while. This equity mutual fund managed to avoid a big loss and gain a big return during 2008 and 2009. It invests mainly in US stocks. This no load fund has an expense ratio of 0.76%. This best large blend mutual fund has returned 14.68% over the past 3 year, and 22.51% over the past 5 year. Morningstar has ranked this top U.S. stock fund with gold rating. The current dividend yield is 0.59%. The top 3 stocks in its holdings are Twenty-First Century Fox Inc Class A, PepsiCo Inc, and Procter & Gamble Co.
Artisan International Fund (ARTIX) is another top mutual fund for long term investment. You can buy this stock mutual fund with $1,000 initial funding for your brokerage account. It uses its assets to purchase stocks of companies in developed markets, emerging markets, and less developed markets. As a no load mutual fund, its expense ratio is 1.20%. The fund managers are Mark L. Yockey, Andrew J. Euretig, and Charles-Henri Hamker. This best international stock mutual fund has top stocks such as Baidu Inc ADR, Linde AG, and AIA Group Ltd. For the past 3 years, this mutual fund has outperformed the MSCI EAFE NR index. It has returned 21.50% over the past year, 12.98% over the past 3 year, and 16.64% over the past 5 year. If you are investing for your 401(k) or individual retirement account (IRA), you can invest in this single fund, T. Rowe Price Retirement 2040 Fund (TRRDX). This TRP mutual fund invests in a diversified portfolio of other T. Rowe Price stock and bond funds. This fund will change its allocation based on the specific retirement year (target date 2040). DoubleLine Emerging Markets Fixed Income Fund (DLENX) is my dark house mutual fund for 2014. This bond fund invests in emerging markets debts including sovereign bonds, corporate bonds, local currency bonds, distressed debt, convertible bonds, and structure finance. The fund manager is Luz M. Padilla. Padilla was the fund manager of TCW Emerging Markets Income (TGINX) from 2001 to 2009 and managed to achieve great return during this period. This top mutual fund has a high yield of 3.47%. You can buy this mutual fund with initial investment of $2,000 for brokerage account, and $500 for retirement account. In 2013, it has a YTD return of -3.19%. It managed to beat 88% of its peer funds by ranking in top 12%.